44. Iosif Akselrud is the Director of Hillel CASE, the section of the Hillel student organization that oversees Hillel operations in Ukraine, Belarus, Moldova, Georgia, Azerbaijan, and Uzbekistan. He is less concerned with specific Hillel programs in Kyiv than with overall management issues, he said. He described his responsibilities as fundraising, staff deployment and training, and other large questions concerning the entire CASE area. Although aware of Hillel operations in Kyiv, his role transcends local issues. Encouraging young Jews to build a strong Jewish identity is the fundamental task of Hillel, said Mr. Akselrud. It is important everywhere, he continued, but especially so in Ukraine [and other countries among the post-Soviet states] because so few young people of Jewish origin in the post-Soviet countries have been exposed within their families or in childhood education to their Jewish heritage. Guiding his work, he said, is the expectation that Jewish life in smaller Ukrainian cities and towns will disappear within the next five to 10 years; young Jews, he said, should migrate from these places to larger Ukrainian cities or to Israel - and their lives in either Ukrainian large cities or Israel will be much richer if they identify strongly with Judaism and the Jewish people. In pursuit of his goals, Mr. Akselrud has expended great energy in building a strong, largely self-sufficient Hillel organization. He has established and continues to guide an indigenous board of directors for Hillel CASE, the first local Hillel board in the post-Soviet states. Currently including about 12 local individuals, the Board raised $45,000 among themselves in 2011 and aims to raise $60,000 in 2012. One of the most successful post-Soviet indigenous fundraisers for Jewish causes himself, Mr. Akselrud raised another $520,000 in large gifts from oligarchs Ihor Kolomoisky and Vadym Rabynovych and from the Genesis Philanthropic Fund. Mr. Akselrud encourages all local Hillel directors to conduct fundraising drives in their own cities of work. 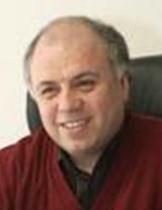 A proficient fundraiser in the post-Soviet states, Hillel director Iosif Akselrud encourages other Hillel professionals to raise funds in their own communities. Photo: http://people.eju.org/person/iosif-akselrud.Retrieved October 10, 2012. Mr. Akselrud expressed hope that a new strategic plan would be approved by the Kyiv Hilllel board at its meeting the following week, i.e., in May. One of the key issues with which Hillel has been grappling, he said, is Jewish education. When Hillel first opened its doors in the post-Soviet states, its students were hungry for Jewish knowledge and eagerly sought Jewish educational programs. The passage of time, Mr. Akselrud said, seems to have dulled their appetites for Jewish studies and he and other staff were searching for new approaches. Hillel CASE has engaged an experienced Israeli educator to assist them in this process. Taglit (birthright Israel) continues to be a very popular program for introducing young people to Israel, Mr. Akselrud said. Ukraine Hillel would be sponsoring six Taglit buses from various points in Ukraine at the end of July, in addition to those sponsored by the Jewish Agency and Israel Cultural Centers. The Hillel Taglit data base includes 6,500 names, he continued. Approximately 250 Hillel Taglit veterans were expected to come together at "post-Taglit University" in August for Taglit follow-up. Outreach to as-yet involved Jewish students was now pursued through a new program called V-konnekte, a name selected as a deliberate misrepresentation of V-kontakte (In contact), a very popular Russian-language networking site. Hillels in Kharkiv and Dnipropetrovsk were pilot users of V-konnekte in an effort to engage new students at their local campuses; so successful was this new program that it is now being used in Kyiv, Odesa, and Minsk as well. Mr. Akselrud explained that certain students in each city were designated as "konnektors" who would create small student communities through V-kontakte. The small groups of "konnekted" students would relate to Hillel in ways that worked for them. Once "konnekted" to Hillel, they would be informed about Taglit; after Taglit, continued Mr. Akselrud, they would be encouraged to enroll in the MASA program of their choice. After MASA, he said, he hoped that many students would make aliyah. Another way of reaching students, Mr. Akselrud stated, was contacting them through grandparents who participate in hesed programs. Hillel also has begun to work with general student councils in some universities, informing them of their activities for Jewish students and engaging in collaborative efforts with them whenever feasible. Hillel was a very active participant, sometimes the lead participant, in weeks of Good Deeds, the very popular volunteer efforts that occurs in many localities. In addition to its traditional Hillel programs in Kyiv, Kharkiv, Dnipropetrovsk, and Odesa, Mr. Akselrud said, Hillel was newly engaged in Donetsk, a major industrial city with a large university presence in eastern Ukraine. The new group was very active, attracting 130-140 students, commented Mr. Akselrud. 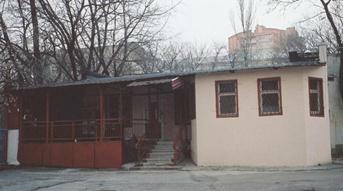 Hillel in Donetsk has its own building, a small structure on the grounds of the local JDC hesed. 45. Rabbi Mordechai (Motti) Neuwirth, who directs student and young adult activities for Chief Rabbi Yaakov Dov Bleich, has re-engineered the original STARS (Student Torah Alliance for Russian Speakers) program in Kyiv. Echoing the director of STARS in Dnipropetrovsk, Rabbi Neuwirth stated that the subsidies distributed to participants attracted a large number of impoverished young people, many of whom were not students and some of whom had serious mental, psychological, or emotional issues. The course content was diluted to accommodate the learning capacity of these individuals, a measure that insulted more capable students and drove them away from the program. The more capable people, added Rabbi Neuwirth, also were offended by certain behavioral patterns of their less well-educated contemporaries. Believing that the stipend was the root of the problem, some of the more capable would-be participants asked Rabbi Neuwirth to implement a non-stipend STARS section designed for university students. In response to this situation, Rabbi Neuwith - together with colleagues and some local Jewish students and young adults - developed a four-tier STARS program. STARS Junior engages 30 to 35 eleventh graders, all attending Jewish day schools, in a supplemental Jewish studies program. All participants receive a stipend. Another subsidized course of Jewish studies is a basic STARS curriculum for about 25 serious college/university students; Intensive STARS, said Rabbi Neuwirth, is an invitational program meeting about 40 hours every month; it convenes in an apartment rented for that purpose and its participants receive a stipend. STARS Elite is offered to about 50 young professionals who gather twice monthly, once to hear a lecture by a prominent Jewish rabbi/scholar from abroad and once to study texts in pairs. The program is supported by a wealthy Israeli, and participants are asked to pay fees for certain accompanying special events. Rabbi Mordechai Neuwirth, who directs student and young adult activities for Chief Rabbi Yaakov Dov Bleich, originally focused on graduates of Jewish day schools, but now works with a broader constituency. For a while, said Rabbi Neuwirth, he was asked by some young Jews from wealthy families to "endorse" a series of elite discotheque events on Jewish themes. Although Rabbi Neuwirth declined to attend the actual gatherings, he did provide some guidance on Jewish themes. It was very important to the organizers, said Rabbi Neuwirth, that the events be restricted to young adults of a perceived elite status; about 400 people were issued invitations, he continued. Because neither he nor any of his colleagues participated in these events, he is unsure about their actual Jewish content. However, the program gradually faded away, he said. 46. An organization bearing the name of Aish Hatorah, the international Orthodox Jewish outreach organization, owns a small three-story building in an outlying district of Kyiv. Igor Karasik, its director, stated that although the Aish Hatorah central office in Jerusalem retains ownership of the facility, it ceased funding its Kyiv operations about five years ago. Instead, Mr. Karasik directs programs for other groups and derives additional financial support from a few grants and from renting portions of the structure to others. The major program in which he is involved, said Mr. Karasik, is a project training Jewish tour guides for both local and foreign tourists on Jewish-interest tours. Participants in the course include men and women, mostly non-religious, who responded to advertisements in certain Jewish publications and organizations. Some are Hillel veterans, some have other Jewish organizational links. Sponsors of the program include the Joint Distribution Committee and the Hamama (incubator) project of the Jewish Agency. 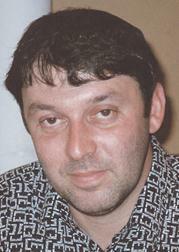 Igor Karasik studied Judaism in Aish Hatorah programs in Kyiv. After the organization ended its programs in the city, Mr.Karasik assumed control of their building and attempts to operate various Jewish education and welfare programs from its premises. 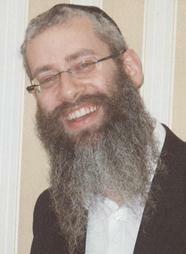 See page 78 for information about additional activity in which Rabbi Neuwirth is involved.